Tata Motors today announced the launch of the new Safari Storme, loaded with new performance and connectivity features – of DRIVENEXT & CONNECTNEXT, based on the company’s customer focused HORIZONEXT strategy. Taking performance of the new Safari Storme to the next level, DRIVENEXT has enabled better delivery of power and comfort, for an unparalleled drive and ride experience on all terrains, thanks to Tata Motors advanced 2.2 L VARICOR engine. With improved power @ 150 PS and better Low End Torque mated with a 5-speed gearbox, the new Safari Storme will now boast a better and smoother drive, be it on cramped city roads, patchy surfaces or on highways. Completing the driving experience of the new Safari Storme is a Fully Integrated CONNECTNEXT Infotainment System powered by Harman™. The infotainment system is unique to the segment, featuring an LCD screen, with Bluetooth connectivity, iPod-in, USB-in and AUX-in, along with a CD and AM-FM player, offering an acoustic experience that’s best-in-class, with six speakers, with other features like steering mounted controls, for customers to stay connected at all times. The new Safari Storme is a refined vehicle, delivering a performance of 0 – 100 km/hr in 14 seconds. The new VARICOR engine, turbocharged with VTT (Variable Turbine Technology), delivers 150 PS Power & 320 NM Torque, providing easy drivability, swifter response and lower NVH (Noise, Vibration and Harshness). 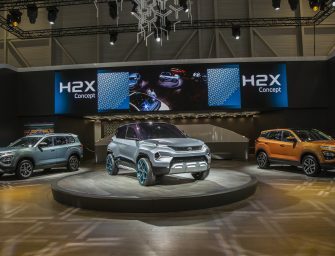 The 4×4 variant also features ESOF (electronic shift-on-fly) technology, enabling engagement of the 4×4 or 4X2 mode on the move, with high fuel efficiency at 14.1 kmpl. The Safari Storme’s rigid ladder frame chassis constructed with advanced hydro-formed members for high structural strength, adds robustness, enabling best load carrying capabilities, enhancing rigidity, while simultaneously reducing weight. Boasting a turning circle radius of 5.4 meters, the new Safari Storme makes driving and maneuvering in tight confines, absolutely easy. 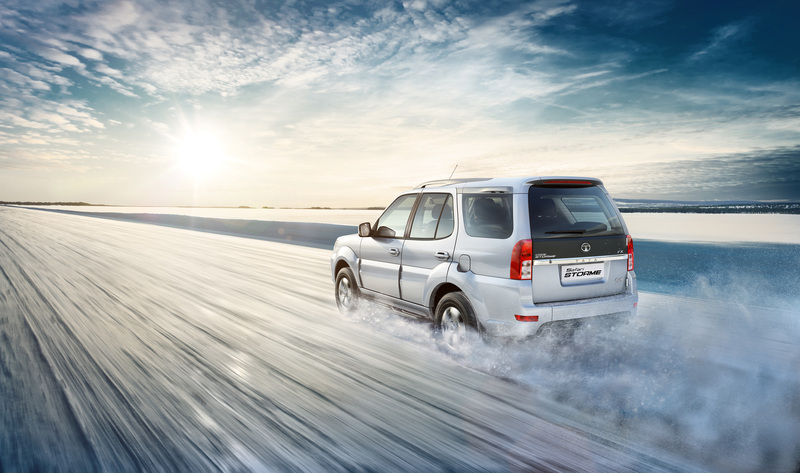 The ground clearance of 200 mm, with a gradeability of 32% in the 4X2 mode adds to the off-roadability of the vehicle. 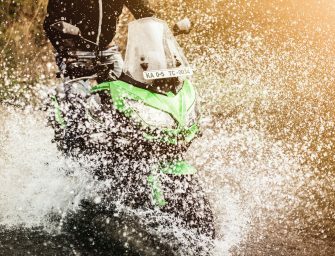 ABS (Anti-lock Braking System) & EBD (Electronic Brake Distribution) brings in the reassurance for better control of the Safari Storme on every terrain. Crumple zones, side intrusion beams on all four doors, dual SRS airbags and the collapsible steering column keeps passengers safe from all sides. In addition, there are features like the inertia switch and an auto engine immobilizer. In an exigency, the inertia switch automatically cuts off the fuel supply to the engine, unlocks all the doors and also switches on the hazard warning lights, warning other road users. 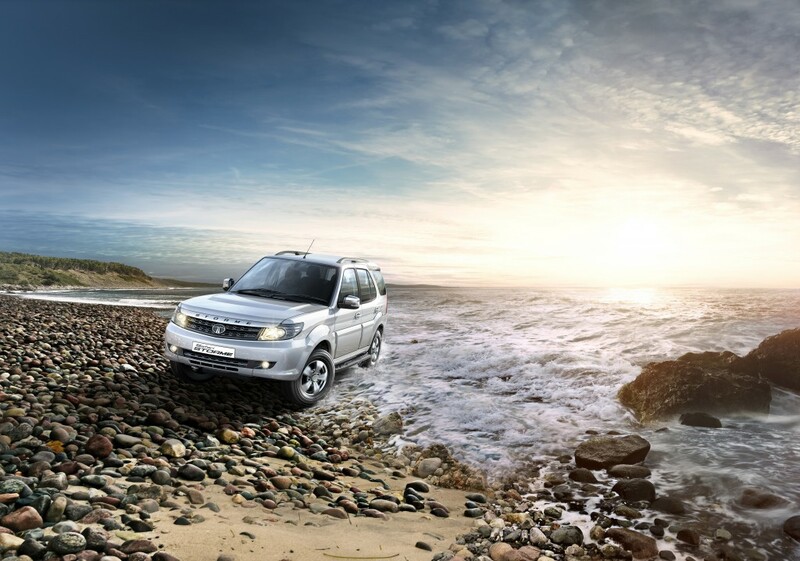 The Safari Storme is also fitted with PES headlamps for better illumination and unwanted glare. An all-new upper and lower front look grill in Charcoal Grey and Ocean Grey (variant wise), gives the new Safari Storme a fresh powerful look. A new diamond motif has been adopted, to further create a classier effect, with ‘Storme’ now embossed in black, on the silver cladding of the hood of the vehicle. The roof rails of the new Safari Storme also sport subtle changes, adding to the sportiness of the vehicle. The interiors of the Refresh are now lifted by a Java Black colour theme, highlighted by a Warm Silver accents on the dashboard and door handles. The seat fabrics are designed to complement the interior with a fresh pattern on the insert and contrast stitching. The luxurious and spacious interior of the new Safari Storme has ample leg space and headroom to accommodate a family of 5 in comfort, with plenty of luggage space for longer rides. 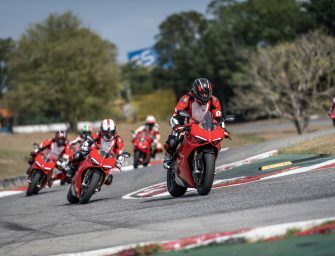 The 5-Link Suspension with Coil Springs for the rear wheels, with double wishbone suspension at the front, adds to the ride comfort, with the new 260 mm diameter Self Adjusting Clutch enables seamless gear shifting, for a smooth ride. The new Safari Storme has been updated with a newly integrated CONNECTNEXT Infotainment System by Harman™, along with Tata Motors new Signature Multi-Functional Steering Wheel, with integrated controls for added driver convenience. Tata Motors has upgraded close to 200 dealerships across the country with over 15 exclusive UV dealerships, to deliver to its customers the desired world class ambience, purchase experience and consistent high-quality after-sales service. 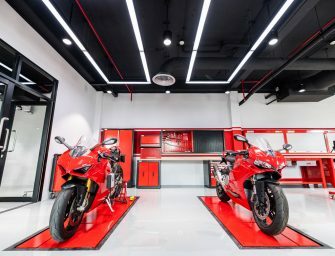 The company is focusing on enhanced customer engagement levels at the dealerships through technology-enabled outlets, providing all-encompassing services at one point – sales, service and spare parts. 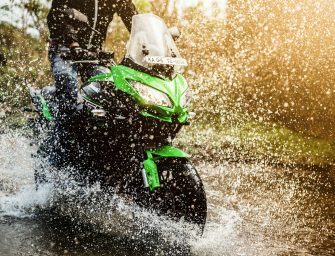 The pricing of the new Safari Storme start at Rs 9.99 Lacs (ex-showroom, New Delhi). The range is available in four variants, LX (4×2), EX (4×2), VX (4×2 and 4×4), in five classy colors – Arctic Silver, Urban Bronze, Pearl White, Astern Black and Arctic White. The new Safari Storme will also come with a warranty of 3 years or 100,000 kms, whichever is earlier, extendable upto 4 years or 150,000 kms. The new Safari Storme has a range of accessories, designed and validated in-house, by Tata Motors Genuine Accessories. For outdoor enthusiast, Tata Motors Genuine Accessories also offers a range of camping equipment all of which can be purchased at all Tata Motors PV Dealerships.